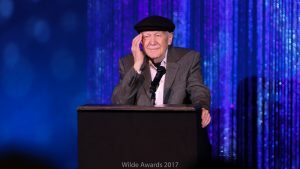 WEST BLOOMFIELD, Mich.–Tickets for the 2018 Wilde Awards, the 17th annual award show recognizing the best performances and productions of the previous season, to be held August 27 at The Berman Center for Performing Arts in West Bloomfield, Michigan, are now on sale at The Berman’s website. 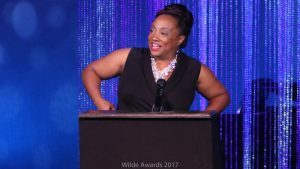 Casaundra Freeman accepting her Wilde Award in 2017. Tickets are $25.00, and include hors d’oeuvres during the cocktail hour and a spectacular evening that celebrates the Michigan theatre community. Featured artists who will perform include cast members from The Ringwald’s production of Rocky Horror Picture Show, Wilde nominee Sonja Marquis (American Trailer Park Musical), Wilde nominee Janet Haley (Michigan Shakespeare Festival and Flint Youth Theatre), Wilde nominee Lauren LaStrada (Lady Day) and more. Emcee for the evening will be Roy Sexton. The event will have a cash bar with drink discounts available through purchase of drink tickets at the door. EncoreMichigan will award two free-drink wristbands in a random drawing of those who buy advanced tickets before August 26. Individual performers, artists and techs who are nominated for a Wilde Award may buy a second ticket for a guest at the door for $15.00 provided they purchase their ticket on advance online. A list of nominees will be at the box office. 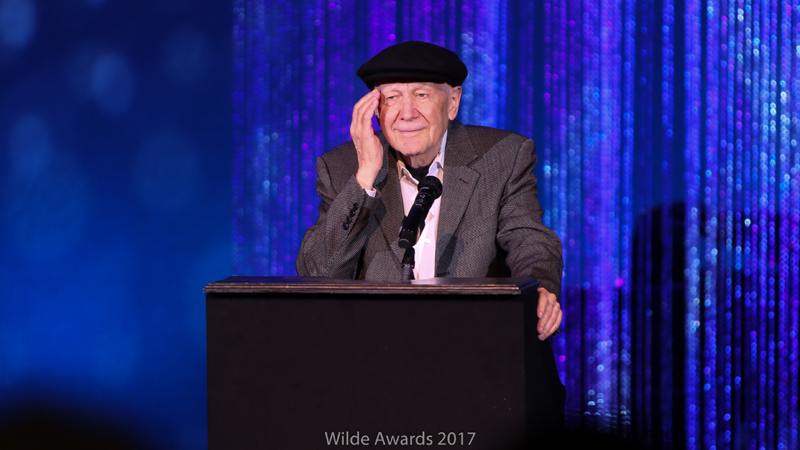 Michigan Opera Theatre’s David DiChiera at The 2017 Wilde Award accepting The Publisher’s Award. 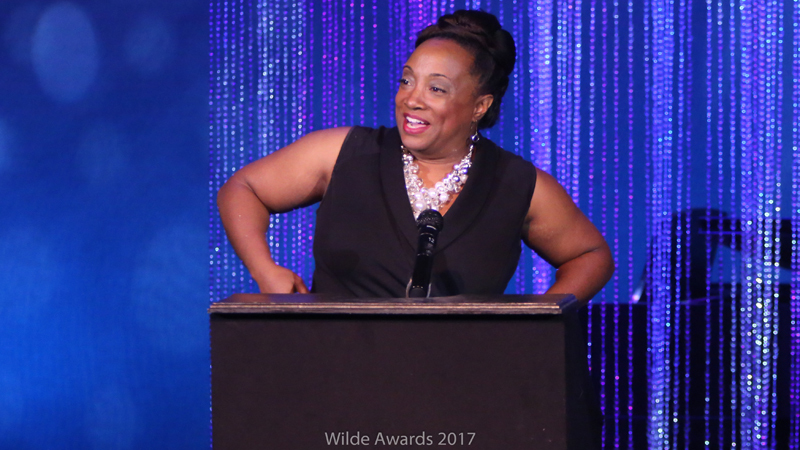 This year’s Wilde Awards is receiving support from Actors Equity Association, the Kerr-Russell law firm, the Kalamazoo Arts Council, Falcon Paymasters, PrideSource Media and The Berman Center for Performing Arts.